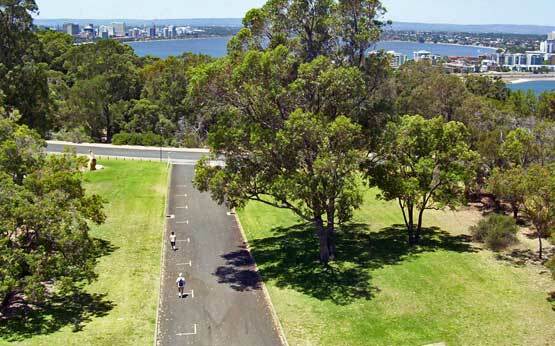 Kings Park overlooking the Perth CBD and Swan River is one of Perth's popular tourist and local visitor destinations. Kings Park plants are mostly native Western Australian bush land and trees. The main entrance from Kings Park Road has great cultivated botanic gardens. I think of my ancestors who died in the defence of Australia when I see there are many war memorials in Kings Park, the largest where the ANZAC dawn service is held on the edge of Kings Park overlooking Perth. 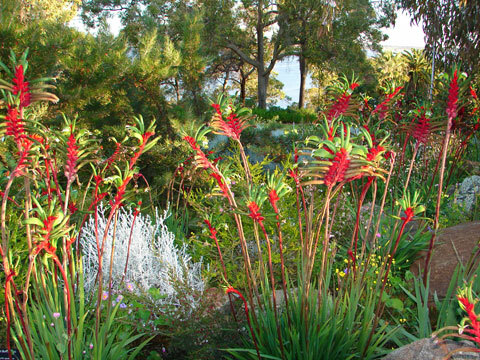 Through September, the spring, Kings Park Wildflower Festival is a must see for green plants, and some of the best Western Australian wildflower tours. The Perth ANZAC Day dawn service is held at the main war memorial in Kings Park. 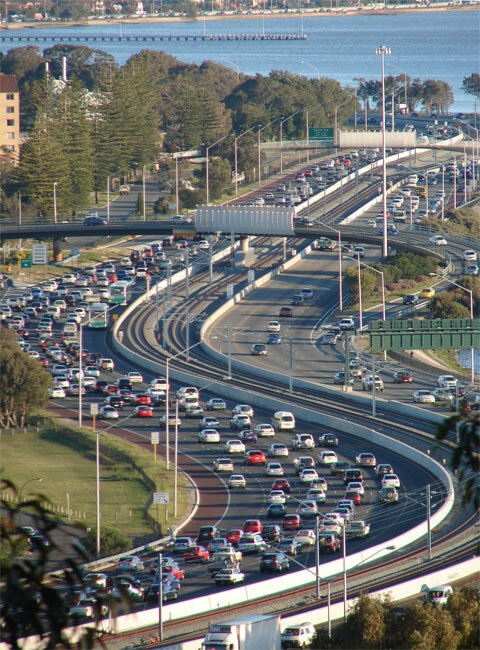 The view from Kings Park of Perth traffic jams give me a great feeling of peace and escape for relaxation at one of Perth's best and largest parks, thanks to the vision of 1800's Perth city planners. I'd rather wait in Kings Park than be in a Perth traffic jam. As a young boy I walked daily through Kings Park from Subiaco Primary School to Mount Street Perth where we lived. Now in the middle of Kings Park is a tall viewing tower with great views of the Perth CBD / Swan River to the east and a great recreational park with lakes and child play areas to the west. 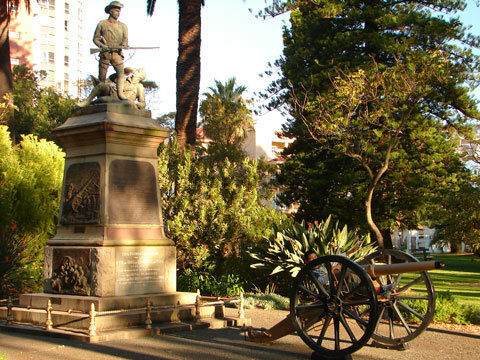 Search for accommodation near Kings Park and book online. Cycling is a good way to see Kings Park. Don't forget your camera for great photos of Kings Park and Perth views below. The night views of the lights of the city of Perth reflected from the Swan River is worth a special visit. 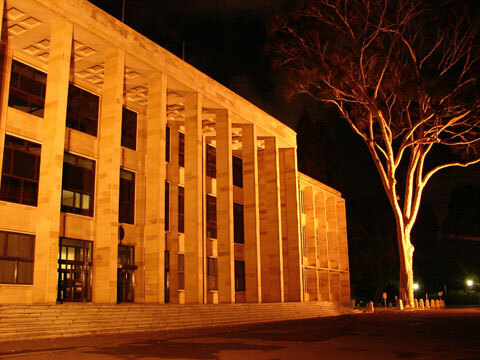 As like nearby the Western Australian Parliament building, trees in Kings Park are lit to show off their unique Australian trunk, branch and leaf features. Judging by the number of cars in the lovers' car park at night, Kings Park is still a popular park and pash place for romance. 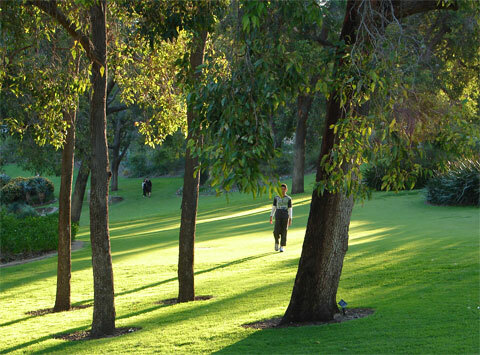 There is a good Perth restaurant in Kings park which is popular for lunch and dinner functions. Outdoor cinema happens here in Kings Park on summer nights. The smells and sights of Kings Park by night are different so if you haven't been to Kings Park for a while I recommend turning off the TV and taking the family there for a cycle or drive or walk through King's Park.